How CMS is providing technical support to three states to select, design and test value-based payment approaches to children’s oral health. Laurie Norris joined the Centers for Medicare & Medicaid Services (CMS) in 2011 as a senior policy advisor for oral health. Prior to joining CMS, Laurie was the state campaign manager for the Pew Children’s Dental Campaign, and before that she served for twenty years as an advocate for low-income children and families in both California and Maryland. In 2007, she was introduced to the world of oral health when her client, 12-year-old Deamonte Driver, died from a preventable dental abscess that spread to his brain. Laurie holds a law degree from New York University School of Law. A minor data reporting issue has been corrected. Additional clarification on the methodology, additional exhibit footnotes have been added. To provide current information about the prevalence of dental benefits in the population of the United States, the National Association of Dental Plans conducts an annual survey of its membership and other dental benefit providers. The NADP has been collecting this information since 1994 and the findings in this report draw on this history. This report contains specific information on Dental HMO, Dental PPO, dental Indemnity, and Discount Dental enrollment at the national and state level and Direct Reimbursement and publicly funded benefits at the national level. While national and state information is provided in this report, no company specific data is reported. Company specific information along with states of operation can be found in NADP's Member Directory. As the percentage of total dental costs and competition increases, keeping customers happy and consumers engaged is becoming vital to the success of your business. Consumers are expecting flexible benefit designs as well and the ability to leverage new technology to make informed decisions. Providing these services can cause a strain as well as increased cost to your internal operation. This webinar is sponsored by Eldorado. In 2005 LIMRA International and NADP conducted their first annual joint research study to survey group dental carriers' contact center and claims processing performance. This report, the ninth in the series, provides dental carriers with an industry-specific performance benchmark for customer contact center performance. This webinar is sponsored by HealthCrowd. Cell phones, whether smart or flip are everywhere. With the prevalence of mobile phones, dental plans, like yours, have a unique opportunity to reach out to members and innovatively engage them. Join Stephen Kindl, director of digital strategy from HealthCrowd, and Edward Bynum, director of special projects of Liberty Dental, for an exciting presentation on utilizing the full potential of digital engagement. Learn how Liberty Dental leveraged the country's first truly multimodal dental program, using text messaging (SMS), interactive voice response (IVR), and mobile websites to activate members in their dental care and/or that of their children. The goal: To study how Liberty Dental's innovative digital outreach removed barriers to care and ultimately drove increased compliance with recommended Annual Dental Visits (ADV). This webinar will be one every dental executive and state representative can derive value. Join us if you're ready to walk down the path of turning your member outreach into a strategic lever and secret advantage for your organization and your clients. 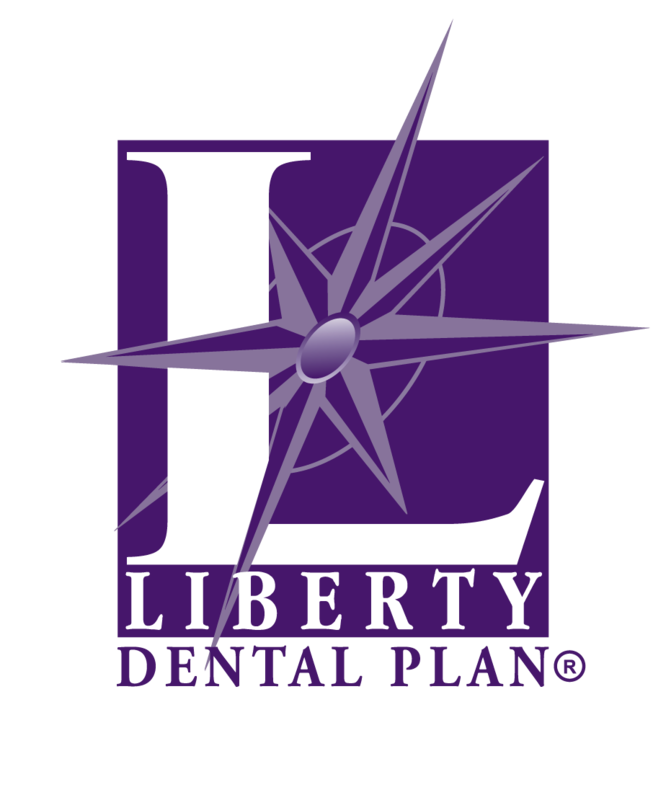 LIBERTY's Mission is to be the industry leader in increasing dental health awareness with the utmost focus on improving our member's oral health outcomes across their lifespan. We recognize that Wellness Programs and Disease Management support overall physical and oral health. We excel at staying on the forefront of development and implementation of such program. Our philosophy is simple and has remained the same since our inception. We are committed to ensuring that our members receive necessary preventative and diagnostic treatments on a routine basis, averting costly and damaging episodic treatment. Additionally, we reach out to members to provide them with valuable Oral Hygiene Instruction and Case Management when necessary to promote a lifetime of exceptional oral health. Stephen is a director of digital strategy at HealthCrowd, specializing in Managed Care. He actively advises health plans on digital outreach, either assisting in the development of a digital communications strategy or optimizing current efforts with innovative technology. He is intimately familiar with the outreach needs of health plans and is highly outcomes-driven. In his role, he regularly conducts webinars and speaking engagements on improving and sustaining HEDIS scores through effective outreach. Steve works with health plans and partner organizations all over the country. He is a fan of the outdoors, music and fine bourbon. Steve holds a BS from Virginia Tech. Dental plan retention: Did app usage increase member retention on their Dominion dental plan? Dental plan utilization: Did app usage increase the number of members who visited the dentist? Dental plan satisfaction: Did app usage increase member satisfaction with their Dominion dental plan? Jeff Schwab is vice president of marketing for Dominion National, a leading dental and vision insurer and administrator that serves more than 875,000 members. He has more than 15 years of experience in marketing, public relations and corporate communications, including over a decade in employee benefits. Schwab is responsible for leading Dominion’s marketing, public relations and advertising efforts, as well as overseeing the company’s new product launches and individual product lines both on and off the exchanges, which account for approximately 15% of the company’s revenue. Schwab has led the development and execution of Dominion’s teledentistry pilot program with the goal of improving member engagement, satisfaction and experience. Through his service on the NADP Communications Committee, Schwab has worked to help increase consumer outreach and has garnered support from the American Diabetes Association to promote oral health awareness. He holds a Master’s of Business Administration from the University of Maryland University College and a Bachelor’s of Arts in Journalism from the University of Maryland. Mike Davis is a founder of Dominion National (established in 1996) and has overall responsibility for the company. Davis has nearly 30 years of experience in dental benefits and had served in various executive positions with MIDA Dental Plans, a successful DHMO in the Mid-Atlantic region, prior to establishing Dominion. Davis has been instrumental in driving the innovation of Dominion’s systems, services and plans since its inception in 1996. Most recently he has led the company’s pursuit into teledentistry to improve outcomes, member satisfaction and experience. Under Davis’ leadership, Dominion has grown over 30% in each of the last three years to serve over 875,000 members, offer access to over 290,000 national dentist listings and employ a staff of nearly 200. Dominion’s expansion offering benefits to commercial groups, individuals and health plans resulted in the company’s 2016 re-brand to Dominion National. Davis helped Dominion become one of the first dental benefits providers in its region to introduce interactive, online benefit administration and other groundbreaking models and technologies to improve the client experience. Over the past decade, Dominion also became known for its innovative online dental programs for individuals and associations. Additionally, Dominion was selected by the U.S. Office of Personnel Management (OPM) as a dental carrier for the Federal Employees Dental and Vision Insurance Program (FEDVIP). Dominion is one of 10 carriers, and the only DHMO carrier participating in the program. Davis participates on several boards, including Dominion National and a regional DSO. Davis earned a bachelor’s degree from Radford University. This timely and informative webinar will provide an overview of the individual dental plan market place today, tips on how to enter the market, and some insights on what to look for in the near future. Chuck R. Misasi joined Careington International Corporation more than 15 years ago, bringing with him extensive experience in consumer marketing, product development, marketing research and sales. He is an experienced senior executive with expertise in direct marketing, business development and customer relationship management. Mr. Misasi currently oversees Careington's sales and marketing efforts, client relations, call centers and high-performance sales departments. Mr. Misasi believes Careington's versatility and attention to the customer experience are key strengths of our company. Mr. Misasi received his Master of Science degree in Organizational Psychology from the University of Wisconsin-Oshkosh and his Master of Business Administration in Marketing from Northern Illinois University. Marge Keen brings more than 15 years of experience to the dental industry, specializing in dental savings plans. Since joining DentalPlans.com in 2002, a leading online dental and health savings online marketplace in the U.S., Keen has contributed to the company’s success, providing innovative solutions for expedient growth. As the company’s current Senior Director of Network Development, she is integral in creating, maintaining, and growing network relationships, products, and overall revenue. Keen also served as Vice President of Sales, where she managed all operational functions for the company’s call center. In that capacity, she developed and implemented sales strategies to increase revenue and oversaw more than 50 staff members. This is a new report for NADP in 2017. In addition to the number of providers participating on a network (DHMO and DPPO) by specialty and by state and MSA, this report includes results from our survey on the operational aspects of managing and maintaining a provider network. Among the topics to be covered in the survey are Narrow Networks, Credentialing, Contracting, Directory Management, Staffing, and Provider Payments and Discount levels. Includes two files: a report of survey results and network statistics and a spreadsheet that includes the counts of dentists participating on networks. Digital Mailroom, Mailroom Outsourcing, or Virtual Mailroom, this service goes by many names but one thing is for sure and that’s the growing number of organizations who are realizing the true benefits of outsourcing their mailroom operations. For larger organizations such as a dental payer, the mailroom can easily become a cumbersome task with the large amount of incoming mail and claims they are receiving on a daily basis. If you are in need of an overhaul in your mailroom, looking for ways to increase your bottom line, or you simply no longer want to be in the “business” of opening mail, join us for a discussion on how a digital mailroom solution can be an effective and cost savvy approach to streamline the flow of information throughout your organization. Today Brant oversees all aspects of technical design, future planning, and customer support for ICS. Brant has served as a founding member of the EMC Captiva Users Advisory Council to help provide ICS customers with the best product on the market. Brant is a certified EMC Proven Professional using the Captiva line of products, helping some of the largest companies and state agencies in U.S. implement document imaging and workflow automation solutions. Brian is certified EMC Proven Professional for content management. Brian's knowledge and skill set allow him to effectively manage and control the build out of a claims capture process all the way from specifications gathering, to testing, to implementation. Brian insures the client's needs are met and that the system performs as expected. Network regulation has been the primary area of legislative activity relating to dental benefits for more than a year. Starting with the revision of the National Association of Insurance Commissioners (NAIC) Model on Networks and spurred by medical plan narrow network issues, new legislative and regulatory issues dotted the U.S. in 2017. NADP contracted with Courtney Ransom to both track these developments and lead a Government Relation Workgroup Subgroup to address new developments. Join in for an overview of 2017, the status and trends in network development. Richard Jones is a member of the Government Affairs team at The Guardian Life Insurance Company of America. As Vice President for State Affairs, he leads the company’s legislative and regulatory agenda in several strategically important states, primarily in the country’s western region. Richard’s prior public affairs experience includes leading a payments industry coalition whose advocacy efforts led to implementation of the Bankruptcy Abuse Prevention and Consumer Protection Act. In an earlier role, he directed public affairs efforts on behalf of the private mortgage insurance industry to support passage of affordable housing legislation. Richard also has spent more than a decade working in public relations and corporate communications. In addition to positions with several global public relations consultancies, he managed CEO and Executive Communications at Mastercard, and led the corporate communications functions at Guardian, GE Corporate Financial Services and the Americas region of GE Money. Richard is a board member of the Association of California Life and Health Insurance Companies and serves on the Board of Trustees for Wooster School, a Connecticut independent school. He chairs the National Association of Dental Plans’ Government Relations Workgroup and co-chairs the California Association of Dental Plans’ Legislative and Regulatory Committee. Richard is an alumnus of the Partnership for New York City’s David Rockefeller Fellows program, a civic leadership initiative. He holds a Master's degree in journalism and a Bachelor's degree in communications, both from Ohio University. Kathy has more than 30 years of legal and regulatory experience, including HMO, Medicare, Medicaid and dental network compliance. In her current role, Kathy oversees regulatory compliance for the Dearborn National companies, including Dental Network of America and DenteMax. She also serves as an Ethics Ambassador, Civil Rights Coordinator and Divisional Privacy Officer for the Dearborn National enterprise. Kathy holds a Bachelor of Arts with a major in Communications and a minor in Religious Studies from Rochester College. She also has a Master’s of Science and Administration with a concentration in Leadership from Central Michigan University. Kathy’s avocational pursuits include volunteer work for veteran charities, mentoring young people at local youth homes, and home improvement projects. Kate McCown is Second Vice President and Compliance Officer for the Ameritas and Ameritas of New York Group Dental and Eye Care Division in Lincoln, Nebraska. Ms. McCown began her career at Ameritas in 1999 and has served in a variety of capacities including business operations and underwriting. In 2012 she was appointed as Director of Health Care Reform and responsible for analysis, advocacy, strategy and implementation related to the Affordable Care Act on state and Federal levels; presenting on the Affordable Care Act and implications to dental benefits across the country. In 2014, Ms. McCown was elected as Second Vice President of Compliance for Ameritas. The same year she was elected to Board of Directors for the National Association of Dental Plans (NADP), and has served in various leadership roles with the organization relating to Government Relations and exchanges. Prior to joining the NADP Government Relations team in September 2012, Eme worked with a national trade association managing regulatory compliance and grassroots advocacy programs. She earned her bachelor’s in political science and philosophy from Texas A&M University. Eme oversees all federal and state legislative and regulatory affairs for NADP.